I love the pineapple idea! Some years ago I was stressed about sending cards and didn't get to them. So on the day after Christmas, I mailed out New Year cards and I've never looked back. No more card stress. The other thing I do is keep to my gym schedule. Making sure to get in my regular workouts makes all the difference. When I first moved into with my husband I lost track of time during the holidays. I got the cards done and the tree and everything else that needed to get done EXCEPT wrapping the gifts. Now santa doesn't wrap at my house, (makes is a lot easier) So I was left with my husbands and 2 kids gifts left to be wrap on the 24th with a house full of people coming. I went up stairs and got some paper. I had "matching paper" in different colors. I came down stairs and started wrapping. I wrapped all of each persons pile of gifts in the same colored paper. That was 2004 and it has stuck ever since. NO tags, ribbons or bows. The kids pick out their paper now and look forward to that choice. It has helped with the stress of the season, plus I don't wait till the last minute anymore! Remember the reason for the season. It makes everything else seem trivial. Merry Christmas! I love the pineapple idea, and while I may not do it, it puts everything into perspective. I have been unemployed for 4 years now, and while I am still actively looking for a job (hope springs eternal), I now know to not sweat the small stuff. I now understand what is really important and try to do things for others that don't cost money, but are heartfelt. "This year just smile at the overwhelming pile of stuff you are supposed to do - and just do the stuff that really matters to you and your friends and family." Amen Sister! I love this post! 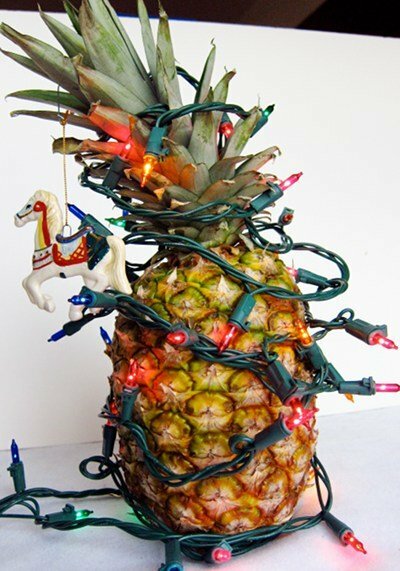 I always feel a bit grinch-y around the holidays, because it seems more like Stress-mas with everything that needs to be done, but I like your attitude & will try to think PINEAPPLE! I LOVE CHRISTMAS!! December is my busiest month of my work year, so automatically I always have to plan ahead. Quite frankly, what is Christmas anyway? It's a celebration of God's son, family and love for one another. If you are too sressed to give time to those things, you do not need a TO DO list you need a new list of priorities. 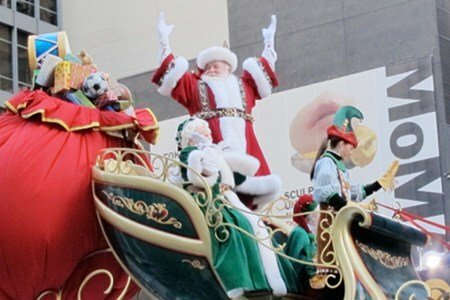 Make it merry, everyone!! It should be "a most wonderful time of the year". I really needed to read this after a full weekend of trying to get the tree up and decorated. There was smoke, scissors and more than a few cinnamon rolls consumed in the process. This year I am going to think pineapple. Last year, I didn't feel like putting up the tree or decorations. We were only having people over once, so it seemed like kind of a waste. I skipped cards, too... and I didn't feel guilty. I still enjoyed Christmas when we traveled to visit family. My advice: do what you WANT to do. That'll make you happy. I love this! And I love the pineapple. I shared your link on my FB page. Can I post the pineapple alone and use in email if I give you credit? I gave up on Christmas cards once I started having kids. Now we do Valentine's Day cards...I have the energy for it then and it doesn't feel like a chore. @Jennifer - please use the pineapple photo (with credit) and spread the pineapple philosophy. It is all about the first Christmas and family. I'll have to say that the pineapple idea is great! As far as the parade; not nearly as good as the old days (52 here)!